The department was organized in 1965 in Karaganda by corresponding member of the Kazakh Academy of Sciences, Doctor of Techn. Sciences, professor Gruzinov Vladimir Konstantinovich, originally called the department “Factory equipment”, and later became known as “Equipment and technology of welding”, which in the early years faculty staff consisted in the amount of 6 people. The first teachers of the department were graduates of the Ural Polytechnic Institute: associate professor Petrovsky V.V., senior lecturer Osintseva N.L., and senior lecturer Sysoev K.B. In 1968 Rector prof. Saginov A.S. highlighted the department for the welding laboratory facilities of the former institute’s boiler room. In the construction and equipping of laboratories actively engaged teachers, students and staff of the department. The Department notes the greatest contribution to the construction of the laboratory groups of students TSP-66, 67,71,72,73,74,75. Workplaces for laboratory works for arc welding and gas cutting, for research were created. To supply the laboratory with the help of administration, teachers and students was built high-voltage cable line length of 2.5 km, built its own transformer substation. The laboratory is constantly supplied with the necessary welding equipment. By that time head of the department was recommended candidate of Techn. Sciences, associate professor V.S. Sidoruk. Graduate of the Kiev Polytechnic Institute V.S. Sidoruk was a great hands-on training in India, as head of welding in the construction of Bokaro Steel Plant (India). In 1970 at the request of the Karaganda Metallurgical Combine has conducted the first scientific work on electroslag welding flanges (research supervisor V.S.Sidoruk, chargeable associate professor V.I. Bochenin). Economic effect of this technology amounted to 25 thousand rubles per year per welding systems. In 1969-1970 Department made two developments for the Karaganda construction companies in welding fixtures in concrete products of contact-slag in which students actively participated TSP-65 Enin V.I. and Davidovsky A., teachers Sysoev K.B., Petrovsky W., Enin V.P. developed the technology surfacing and reconstruction of large bushes cone crushers for Jezkazgan Mining and Metallurgical Combine. This work was completed in May 1971 on the successful implementation of LMW DGMK, which actively participated diploma students gr.TSP-66 Bartenev, I.A. and the Fakaev G. Resistance weld of their sleeves topped resistance sleeves before the introduction of 3-4time.In 1972, the contractual works carried out by electroslag welding tanks Novopolotsk oil refinery (Belarus). Under the scientific leadership of the head of Department Sidoruk V.S. created the original technology and equipment for welding thicknesses from 8 to 16mm electroslag method provided high quality welds in the field conditions. Development of this technology have been protected by four copyright certificates. Simultaneously conducted search operations and research by electroslag surfacing. In these developments the most actively involved Davidovsky A.N., .Bartenev I.A. 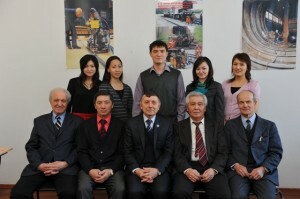 Ahmetbekov MT, students of gr.TSP-67 Lopachev M, Bozhenko A., cumin A Padiarov L. and others. A total of electroslag process had received more than 10 authors’ certificates of USSR, the three co-authors were students. 1972, the Department requested guidance SSHMU on the organization of the process for making an order to Iran. The staff of the department (nauch.ruk .. VS Sidoruk) was developed by the technological process of manufacturing a welded metal casing of the main trunk and vertical pit head Koprov height 36 and 49 m. The project was successfully completed and the economic effect of implementing the proposed technology was 58.8 thousand rubles. In 1972, the company “Kazmehanomontazh” was proposed and implemented the technology for automatic welding of webs for the manufacture of these shells.By the introduction of new welding technologies have been extensively involved young students 2,3,4,5 course. 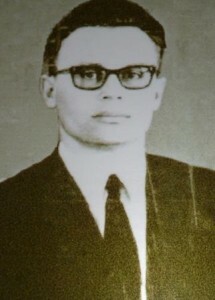 In 1973 5-year student Shigaev T.G. offers a device to modulate the welding current, for which he receives an inventor’s certificate, later allowed to make-arc modulated current as a constant and alternating current. After defending his doctoral dissertation in 1982 in the PWI .E.O. Paton T. F Shigaev returns to graduating departments and carries out a number of interesting research, commissioned by Omskenergo “,” Orenburgtransgaz” and “Aktyubselmash, where they introduced technology of welding the new power supply, equipped with a device that modulates the welding arc. The economic effect of the introduction of a modulator was 1.2 thousand rubles per year. 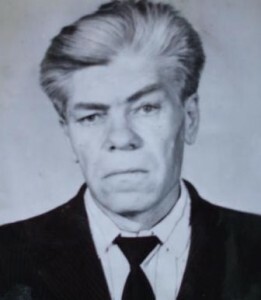 In 1974, after successfully defending his doctoral thesis at the Moscow Higher Technical School oа .N.Bauman (Moscow), was elected chair of VA Danilov-energetic practitioner, research engineer, teacher, trainer, welder, a graduate of the Gorky Polytechnic Institute. V.A. Danilov, in scientific terms in the department headed by a new direction – the restoration of worn-out products in the energy sector. At the request of the Venerable. “Tsentrkaenergoremont” in 1975 was carried out scientific work on the development of technology and equipment for automatic welding of hard metal hammer to beat Coal rolling mills. Later designs were developed, which was made rocker surfacing installation. The introduction of this facility allowed to double the treatment of surfacing work and get the economic effect on the amount 52tys rub.per year. In 1977 the Department prepared the 500th as a mechanical engineer Brodnikov V.M. (g TSP-72-1), who later as a graduate student PWI in 1985, developing a method of magnetic testing of ferromagnetic products, which greatly simplifies detection of defects in inaccessible welds. This scientific direction of the work was protected by four copyright certificates. Method of control is successfully implemented in many enterprises in Kazakhstan and the Russian Federation ..
New technologies introduced by the order of the Department of Karaganda heat supplier (scientific hands. 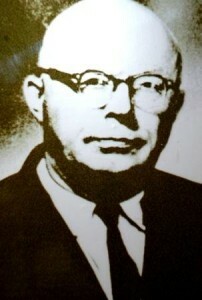 Sysoev K.B. ), for example, the installation of automatic gas cutting parts of a program of heat networks. Later on the same plant was introduced technology and equipment for electro deposition of hard materials for cutting tools (scientific hands. 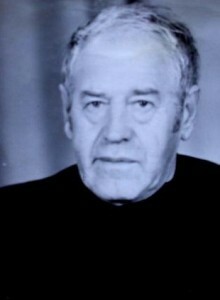 VA Danilov). 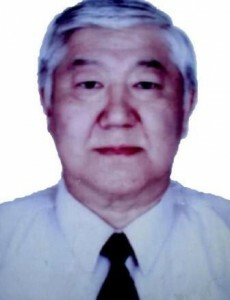 In 1982 he was appointed head of the department candidate of Techn. Science Wagner F.A., a graduate of the Department of welding the Ural Polytechnic Institute, who has previously worked as the head of welding in the construction of the Beloyarsk nuclear power plant. The theme of his scientific work is automatic orbital welding of pipe structures in field conditions pulsating welding arc. Commissioned by “Sredazenergoremont” was developed and produced compact machine for welding of medium carbon orbital joint technological pipeline. 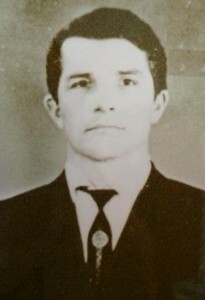 In 1985, after defending his thesis in PWI to the scientific work of the department connected candidate of Technical Sciences, Bartenev I.A. in 1986 by order Karmetkombinat introduces the technology and apparatus for plasma-powder surfacing blade disk shears with an annual economic effect of 65 thousand rubles per installation. Research of plasma surfacing is going now (scientific supervisor I.A. Bartenev). In 1986, a unanimous vote of teachers and staff, was elected head of the department, Candidate of Technical Sciences Shigaev T.G., who continued to implement designed and manufactured by him welding current modulators in KPTI experimental plant . Parallel researches were conducted to develop a compact power source for welding modulated current. Headed by candidate of tech. s., associate professor T.G. Shigaev. In the 1990′s there have been several implementations of scientific research department of E and TW. This is the introduction of welding modulators Karmetkombinate in Tsentrkazenergoremonte and other enterprises, the introduction of plasma surfacing on Karmetkombinate, the introduction of developments in manufacturing technology of welding electrodes on KZMK, the introduction of technology and equipment for plasma spraying of crankshafts at the plant, “Agriculture” (p.Kievka Karaganda region). The introduction of these developments allowed us to obtain an increase in their low teacher salaries in the difficult years of 1994-1999 and retention in high school department staff. In December of 1991 in Karaganda was organized the Association for welders in Kazakhstan. Conducted under the auspices of three of the contest of welders, which involved the best welders manual arc welding in all regions of Kazakhstan. Republican will begin technical conferences organized by the Association of welders under the leadership of president of the Association, Ph.D., assistant professor Shigaev T.G., always aroused interest and active participation of experts in welding from Kazakhstan. In 1993, commissioned by the Venerable “Tsentrkarenergoremont” by faculty and staff of the department carried out extensive scientific work whose goal is to significantly improve the organizational structure, improve the extent and level of mechanization and quality surfacing operations used in the repair of worn parts on a production basis TSKER (scientific supervisor V.A. 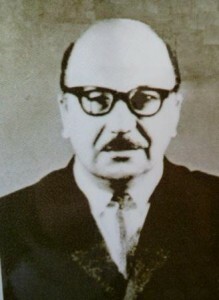 Danilov). Identify existing surfacing potential TSKER, and making preparations, the performers threads started planning the technological equipment of surfacing of the site. On the area of 225 m2 was placed 13 units of equipment, including welding jobs-2. surfacing-8, Gas cutting-1-1 positions machining and heat treatment, 1 ..Each post was aimed at a typical range of operation details. Surfacing site has been provided the necessary technical and technological documentation for the rapid solution of technological problems. Each surfacing installation was made on the developed technical drawings, including drawings of electrical circuit automation, equipped with standard power supplies and feeders with subsequent field testing. In 1994, the department was formed branch laboratory for welding and surfacing, headed by V. Danilov. In 2000, commissioned by Jezkazgan Kazakhmys was carried out promotional work on the development and study of welding of rail joints in the mine shaft. Installation was designed and constructed in metal and lowered into the shaft to a depth of 400m for the subsequent welding of rail joints Underground Railroad (scientific supervisor T.G. Shigaev, Bochenin V.I.). Since 2010, the chair, an updated young professionals, separated from the department “Technology of mechanical engineering” in an independent business unit, uniting with the path of learning, “Machine Foundry, which became known as” Welding and Foundry”. The department has produced many talented people who are showing their engineering skills in various areas to this day . Among them the International Academy of Informatization, Ph.D. Marinushkin B.M., and seven candidates of technical sciences, Shigaev T.G., Talzhanov A., Bartenev I.A., Saginov Ch.A., Goncharova R.D., Saginov N.A., Nasyrov F.H., and academician of the Academy of Arts RK Kuritsyn A.F. The department in its work to support the creative links with the PWI, Ukraine, Moscow State Technical University of Bauman, Ural State Technical University, Russian Institute of Welding, Kiev Polytechnic Institute, Gubkin Russian State University of Oil and Gas. Doctor Of Technical Science., prof.